During a child’s life, there are very few things that are more important than learning how to write. Like the learning of maths, alongside important social skills, writing is something that will stay with them for the rest of their lives. So encouraging them to do so from the very beginning is important. But what happens when your child has difficulty writing? Not only could handwriting issues affect a child’s grades, alongside their attitude towards homework, but also their self-esteem and general behaviour at school. 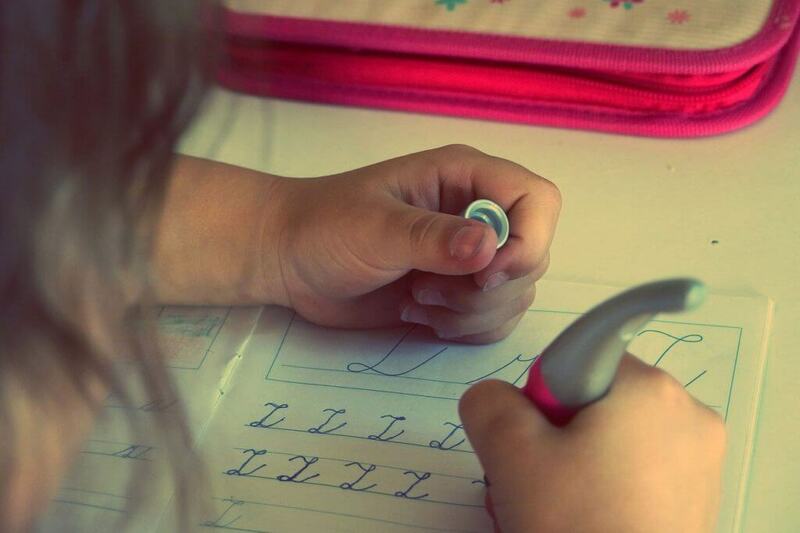 If your child experiences a particularly troublesome time when they write, this could also indicate that they have problems relating to their attention span, hand-eye coordination and short term memory. Of course, poor handwriting will not cause the above issues, but it could be part of a greater issue. Find out what ‘normal’ handwriting looks like for a child of the same age. Look not only at the finished product, but also how your child writes. They could just be awkwardly holding their pen, or even, using the wrong hand altogether. Consult their teacher, or if you are comfortable enough in doing so, other parents for their assessment. Can a child grow out of a handwriting difficulty? Evidence has shown that mild difficulties can be helped and overcome with persuasion, practice and more importantly, patience. However, severe handwriting difficulties can persist even to adolescence if no intervention is made. Could poor handwriting hint at dyslexia? Poor handwriting alone will not be the sole indication that a child has a developmental disorder. Problems with spelling, reading and attention issues might also be prevalent. A full assessment should therefore be made by an educational psychologist or paediatric neurologist for an accurate diagnosis of the issue. Make it fun! For every bullet point below, writing should be a very important aspect of what you do. Release the creative child inside by encouraging them to write short stories about things they did at school or what inspires them to be happy. Encourage them to keep a diary of what they’ve done each and every day. You can make this extra special by keeping one yourself and comparing each other’s activities. Use a variety of different colours and types of pen. While you’re there, get them to draw and paint too! There’s nothing wrong with mixing the arts. When the season is correct, get them to write Christmas, Easter and New Year’s cards for their friends and family. Encourage them to write to family members or friends who are far away. When the time is right, get them to write their own birthday cards too. What’s more, we also sell a range of pens in our Lamy pen range that are specially designed to help children with their writing. Anna has been a lover of stationery since the age of three, when she got her first red spotted pencil case. Lucky enough to work part time for The Pen Company, she is surrounded by stationery; the dream of many a collector! Robot Copies Handwriting Using a Fountain Pen! ← Previous Post: Spy Pens: Fact or Fiction?